I would love to write and share about my birth experience with Jeni Rector.The birth I shared with them was my seventh and very best! I felt like God truly led us to the best place to receive care where HE was the “boss”. There were times of doubting and fears when I was listened to and prayed with by Jeni. The ladies all took excellent care of me and the growing baby and didn’t push or attempt to control me or the pregnancy. Very wisely, they assist and help you along in a holy area that God’s domain. I had a false labor and Jeni and her sweet husband came immediately and set up the labor tub (in a storm when there was no hot water and we had to tote it from the church coffee pots next door!) She stayed until totally convinced that it wasn’t labor and didn’t ever make me feel like the idiot I felt like having fired off a false alarm in the middle of a tornado. It was almost like Jeni had an alterego experience during my labor. She became super calm and professional haha. Not that she isn’t ALWAYS that way, but during birth she kind of went into a zone and just knew how to serve and help what to say to encourage without being over bearing or pushy… she suggested changing positions and made other suggestions (remember this is my seventh baby born “naturally” and my second home birth you’d think I knew stuff about labor and delivery) but the pain management ideas she had and the way she coached me to focus was different than anything I’d ever experienced and helped in a totally new and amazing way. She prayed with me a couple of times and was quiet and encouraging. Then when it was time for the baby to be born it wasn’t perfect, his cord was around his neck and when he did come he was blue and unresponsive at first. She handled this with calm and grace and an efficiency and faith that made it seem almost normal. And the baby cried and turned pink and all was well. Afterwards she very sweetly assisted me to bed and served our family in a myriad of other ways. I can’t really write about it without crying. She wasn’t some medical person, she was a friend. A friend who got filthy and soaking wet and hunched over in funny positions just to serve and help me bring God’s little miracle boy into the world. So would I trust her crazy personality during labor? Absolutely. Her faith and wisdom, her calm and knowledge, her love and prayers were all part of what made this birth the most amazing yet and made me even want to have more babies and maybe even soon ha. Robin and Jeni attended both the birth of my son Julian and my daughter Anya. I have never met a more caring team of professionals. They were so attentive to my needs, fears, and elations throughout pregnancy and childbirth. They taught me how to take care of myself and take control of my care, always being a great source of information. I highly recommend this team of caring women as aides in childbirth. You are laughter to me. I know you are coming before you arrive. The energy you bring with you is like a big puffy cloud that surrounds you. You are loud and noisy and uncontrollable. But for some crazy reason, I come to YOU when I need counsel and calmness. It makes no sense at all – but there it is. You give the best advice, you are so wise and you never judge me. I can tell you anything and that means everything. You are a mason jar full of sweet tea on the back porch. You are watching the tide roll in. You are steps on cold pavement at dawn. You are the stillness right before the sun rises. burning desire to do it better. You are magical. When I first met Jeni, it was because I was weak and I needed someone strong. I needed someone to keep the big bad wolves away from me in the hospital. Better that that, she gave me the strength and encouragement, as well as the reassurance I needed, to have my baby girl at home. She gave me the gift of two beautiful births in the comfort of our home. Her love and encouragement made me feel as though I had known her for years…she’s like the big sister I always wanted. We live in Georgia now, and I can honestly say that one of the main reasons I miss Virginia is Jeni. I still think of her and different funny things she said/did and even though I haven’t seen her in over a year, she still gets me through tough days. We love Jeni! Not one day has passed in 4.5 years that I haven’t considered Jeni and been warmed, made hopeful, felt love, and blessed as a result of knowing her. She is a part of my family…She is my sister, my mother, my friend. I will love her always. Jeni is one of the best friends I have ever had. She is such a joy to be around. If it wasn’t for Jeni, I wouldn’t be a midwife today. She is such a great teacher, doesn’t yell at me, or belittle me, and showed me what I needed to do, asked questions to make sure I understood why I was (or wasn’t) doing something. I hope to be that kind of mentor to a future midwife. I love it that Jeni puts others first, which is something I badly need to learn…I am very grateful for everything Jeni has done for me and I hope I can repay it some day! Jeni is a calm in my storm, a safe place to fall. Other than my midwife, her love of life and carefree approach to parenting has greatly influenced me at times when I felt like things around me have been falling apart. She is someone I know I can turn to for advice or an ear to listen. I count her among my forever friends. She is an excellent mother, midwife, and friend. Where would I be without all your help and love through the years? You’re an amazing friend, confidant, and mentor. You have a way of reminding me what’s really important in this crazy backwards world. When I am at my wits’ end and pulling my hair out you know just the thing to say and do. You cheer me up when I’ve lost all hope and need to be picked up from my own despair. You are an amazing mother and friend and I am blessed to have you in my life. You are the first friend we made here. Returning from overseas was hard; doing it while expecting another baby was even harder. With the delivery of our son in our house you wove yourself into our family. You are smart, caring and willing to put in the extra mile. You are an emblem of strength, hope and love. Jeni is my teacher, mother, sister, friend. I can count her for a good laugh or a much needed cry. She is a source of strength, positivity, love, support and trust. She guides me, listens to me, inspires me and gives me hope. If there is one thing she does that makes my heart smile the most it is when she says “I love you” everytime I see her beautiful face. My husband and I met Jeni when I was pregnant with our first child. We sadly lost that child through a miscarriage at 11 weeks and through that very difficult time Jeni was a tremendous help. She helped us work through the fears we had during our second pregnancy and we had a beautiful home delivery. Jeni was wonderful throughout all of my prenatal appointments and she helped me so much during my labor. She is a wonderful midwife and such a benefit to the birthing community. When we found out we were pregnant we knew we wanted a waterbirth! We searched out our options in the area and decided that a homebirth was the very best option. We came to our first appointment with Jeni with a long list of questions and worries. She answered everything and we knew that she was the right choice for our family. Jeni made the unknown known. We had a magical birth, a complete success. Jeni is an amazing and competent care giver with a personal touch. We were referred to Jeni by a dear friend. We had recently moved here from Africa and we had no money or resources. Jeni took wonderful care of us, she helped us to understand about birth and what we should expect. She helped us to find resources in our area. She never asked for money and would not take it when we offered her what we had. She did accept a huge loaf of homemade bread and lots of hugs. We could not have done it without her. She changed our lives. We drove 3 hours one way to come see Jeni for prenatal care. When we got far along in pregnancy, she would meet us halfway because she couldn’t stand the thought of me being stuck in a car for so long. She prepared us for the chance that she would not make it to our birth and gave us very very detailed and specific emergency instructions. We are so thankful to her. We will use her for every birth. No one would help me try for a VBAC after having my first child via C-section. 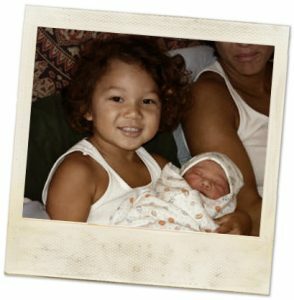 Jeni listened to me and told me the pros and cons of homebirth after c-section. She prepared us for every problem that could happen and she had a plan for everything. We had a wonderful delivery, at home, in my bathtub. Jeni cooked us dinner, did the laundry and tucked us in safe and sound. I would have never had the experience of a vaginal delivery if it wasn’t for her. I am forever thankful. Jeni and Hayley took amazing care of my family. This was our 10th baby and while everyone would expect me to be an old pro at childbirth I had just as many questions and concerns as a first time mom. I think that your brain just leaves when you are pregnant! Jeni always answered my questions and if she didn’t know the answer she would find it out for me. She knew the positions that would work best for my body and the position of my baby. My husband delivered our baby, in our bedroom, with Jeni and Hayley looking on. It was the most amazing experience of our lives. Our family was as involved as “I” wanted – this birth was all about ME and not about protocols and procedures. We are forever blessed. My child’s life is owed to Jeni and her fast thinking. She is so calm during emergencies that I didn’t know there was a problem until after my 6 week postpartum appointment. But she knew that my baby was in trouble. She moved me into a position that made my baby come out fast and she helped him to breathe. From start to finish my labor was 2 hours. If she hadn’t been there and hadn’t been so ready and prepared I am no doubt that there would have been a different outcome. My labor was so long and hard that I wanted to be outside of my own body. I felt like my body had betrayed me and I knew that I was going to die. The only thing that kept me going was Hayley rubbing my back..for hours and hours. After 52 hours of severe back labor, I had the most beautiful baby on earth. Thanks to the great staff at The Village Midwife! My partner and I felt so uncomfortable at our doctor’s appointments. While they were nice, we felt judged due to our sexual preference. When we interviewed Jeni we were concerned because she is a Christian and we were worried that she would judge us as well – but there weren’t many options in our area. It was completely the opposite. Jeni said that she believed that people should show Jesus through actions and not words and that is what she did. We never felt judged or that we weren’t just as loved and respected as the other clients. She changed our lives and we will use her again if we choose to have another child. Jeni found out we had no food in our fridge. We had delivered with her 2 years ago. Suddenly there was so much food on our porch, left by members of Jeni’s homebirth group. She always says homebirth people stick together and help each other and she is absolutely right. I never expected the outpouring of love that people we didn’t know gave to us. Jeni isn’t just a midwife she is a benefit to all women and her community. This was our last pregnancy. I wanted it to be a wonderful, peaceful, quiet experience in my own home. I wanted to use a birthing tub and I wanted to be in charge of the direction my birth would take. Jeni and Hayley provided that for me. They gave me the power. They told me that I could make the decisions for my care. What a difference! The biggest day of my life. I wish I was going to have more children just so I could have Jeni and Hayley again! Everyone told me that my baby was huge and that I could not have a natural delivery. Jeni said she believed in me. My baby was 11 pounds and came out like a bolt of lightning! Not even a moment of trouble. The most horrible day of my life. I knew my baby was going to die. Jeni walked with us through that day. There is no way to repay the wisdom and the strength she gave us during that day. It was her voice above all else that I remember. It was her touch that brought me back to the present. It was her prayers that helped me to get through each moment. It was her that pushed me to hold my baby even though I was so scared. It was her that remembered to take a picture, a lock of hair, a footprint; things that I will forever cherish. She turned the worst day into a memory that is painful but beautiful. She does God’s work. Oh my gosh!! Everyone should use Jeni to have their baby! She is funny and goofy but she is the voice of calm and reason when it is needed. She knows how to sit quietly and be a gentle guide or to break up a tense moment by cracking a stupid joke. Do not be put off by the fact that she wears shorts and tshirts and hideous croc shoes. She is professional and in charge when you need her to be. She is my friend when I need a shoulder and I have now had 3 babies with her and I will continue to have all of them with her. I look forward to her silly jokes and to her gentle hands. What can I say??? Best birth ever! My husband was worried about a home delivery. After he met Jeni he was completely at ease. We talked about babies, birth, cars, guns, and the Constitution at our prenatal appointments. She cared about all of my kids and even had treats for my dog. This was an amazing experience and now my husband is all about having babies at home! Jeni and her team distracted my mother-in-law so that I could have my baby! YAY! They said I couldn’t. Jeni said I could. I did. First of all. I love you. Second of all. You are the calm in the midst of the storm. When my baby was dying, you held my hand. YOURS was the calm voice that was heard over all the hustle and bustle – allowing my husband to cut the cord – a moment that no one else would have or did think of …but a moment that remains, to this day, the most precious memory of our time with our little baby. You have a way of bring joy into sorrow. When the world is crazy, you step in and it calms. You are a precious woman with a gift. I met Jeni for the first time when I first called looking for a midwife. She was nothing but sweet, warm and welcoming. I was desperate looking for a midwife when I found her online. Automatically I felt connected and knew that she would be the right person to assist me in my natural birth. Jeni is one of the most novel, selfless and loving persons I’ve had the pleasure of meeting ….. Jeni you are a wonderful Woman, Mother, Friend and Sister. This World is more wonderful because you’re in it! My husband and I are so grateful for all you have done for our growing family. The universe has marvelous things in store for you. You are an angel on Earth. We love you very much!!! I have honestly never met anyone who cares about people more than Jeni. Even though she had just met me, she welcomed me into her house and fed me, even though most people who have known me in the past would highly discourage feeding me because I never leave. But there is no greater example of how caring Jeni is than when you see her around her children and no matter what she never seems to let anything get to her. She helped my girlfriend and I through our first pregnancy and she served as a beautiful example of marriage and romance and what I hope my new wife and I have for our future. Words cannot express how grateful I am to have had Jeni as my midwife. Jeni & the birthing team (Neely & Renee) were truly amazing and I can honestly say I’m not sure if I could have gotten through it without their advice & encouragement. From the relaxed appointment visits, to the actual birthday, and after birth care, it was all so enjoyable. If I had questions, they were always available to answer them. I was never treated as a patient, but more as a friend. They changed the way I view what quality healthcare means. I can honestly say that I felt a little spoiled by the amount of time and attention I received from these women. They provided me the knowledge and the confidence to realize that birth is a safe, natural, and wonderful process. During labor, these poor women got out of bed at midnight to travel to my house. They provided a calm and peaceful environment & helped me through each contraction. While the birth/afterbirth didn’t go picture perfect, these women handled everything with such ease that I wasn’t the least bit worried – I trusted them 100%. It was a phenomenal experience which left me empowered and ready to do it again! If you want the best birth, I highly recommend these women as they ARE the BEST! I am eternally grateful to you Jeni, Neely, & Renee.